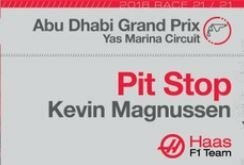 Last race and a double point finish for Team Haas. 5th overall in the 2018 constructors championship. Hammy Hamilton wins the race with Vettel 2nd and the young Verstappen Pretender to the Crown third. 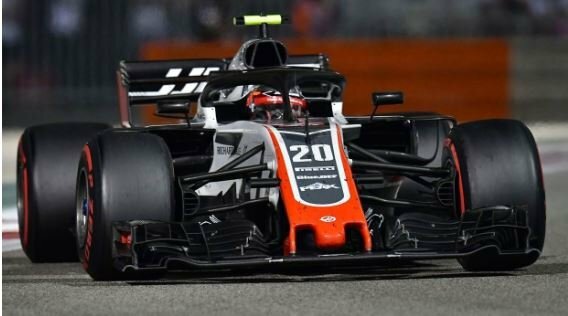 Hulkenberg is sent tumbling through the air by, who else, Grosjean. Lots of cars stopping for various reasons which meant K-Mag grabbed a point after an excellent drive. in 30 years to join the FIA Formula One World Championship." Well the F1 Circus is over for this year. with car aerodynamics and new kids on the block. So it all starts again on St Patrick's Day 17th March in the land of Oz. The 2019 FIA Formula One World Championship begins March 17 with the season-opening Australian Grand Prix in Melbourne. But before cars take to the 5.303-kilometer (3.295-mile), 16-turn Melbourne Grand Prix Circuit, they will spend two weeks testing at Circuit de Barcelona – Catalunya. teams will develop their 2019 cars at the 4.655-kilometer (2.892-mile), 16-turn circuit.